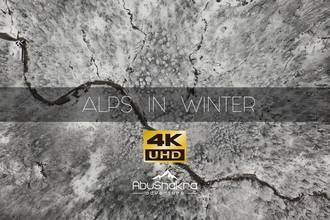 In an aerial film dedicated to his mother and father, Muhamad AbuShakra gives us his best views of the breathtaking Alps mountain range from a variety of angles. Sit back and enjoy the views as he takes us flying low over the glacial lakes that lie smooth as glass, through the forests of evergreens heavy with snow, and soaring out from small villiages and cabins. His variety of shots inlcude shooting top-downs of the rushing rivers and hyper-lapses that catch the clouds rolling through the mountains. Description: This film is a series of many upcoming films filmed by me in winter, highlighting my adventures in the the Alps.